What simultaneous interpreting is NOT. duvall is a customer oriented company committed to deliver the best possible service. our staff, our equipment, our service and our corporate values. 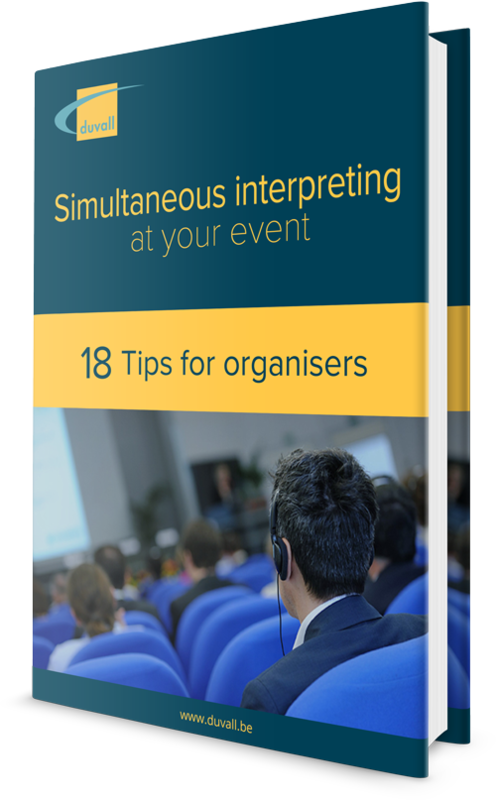 Are you preparing an event? Give us a call and talk to us about your challenges. The sooner duvall gets involved, the better the result! Prefer to write to us? Click the button and fill in the form. In this e-book, Frank Uyttendaele, duvall’s CEO, shares his insights gained from 20 years’ experience. The book summarises how to use a voting system for more than just voting yes or no and how to turn it into a real value creator.